Hello there everybody, how is everyone on this particularly bland Saturday? I was going to post last night but time got away from me and before I knew it I was too tired to try and stay awake to write a full post. Oh well. It’s been an odd week to write about too. It started (Ish, I mean Friday was last week’s post but The Killers need mentioning) and a gig, followed by injuries, illness, birthday preparations, and on top of that a fat week. We can’t have everything in life. I’m going to start off where last week’s post should have finished: The Killers! Emma and I went to see them perform in Liverpool last November (I wrote all about it here) and decided to buy tickets as soon as we had the opportunity to see them perform live again. They were just that good. So, we both booked the day off work, and decided to make a day of it. One of our favourite restaurants in Liverpool is a tapas bar called Lunya. A new smaller version called Lunyalita opened last Friday, so we headed into town to pick bits and bobs up (like ponchos, because the day we were going to an outdoor gig was of course the day that we were scheduled to get the first rain we’ve had in months) and went for breakfast. It was INCREDIBLE! Right, I would like to preface this next paragraph by saying that The Killers were incredible. The Venue however, was not. I don’t know how else to describe the organisation of the event other than to say shambolic is a polite word. No security to speak of, hours of waiting times for food and drinks outlets, staff handing patrons buckets as toilets didn’t flush, not having enough wrsitbands so they can’t get everyone in, and let’s not get started on the car situation. It took nearly 3 and a half hours to drive what would normally be a 45 min journey. The car park cost £20 and took hours to get out of after the gig (no joke, so guys were still there 2/3 hours later) or you had to miss the last song(s) to get out quickly. You should be ashamed, embarrassed, mortified at the appalling standard of venue Macron, ashamed! That aside, the band were amazing. Due to the previously mentioned issues, we missed the support acts, but were inside in time to get a decent position. The sky wasn’t even cloudy (at this point at least) and we were excited. They were brilliant. I hesitate to say it was better than last time, because The Killers never play the same show twice even on the same tour, so we saw and heard different songs in different orders. It was equally as good, the rain held off, they played all our favourites and we just let our hair down and enjoyed ourselves. There is something about the audience within a Killers gig, an equal mix of sexes, ages, there is no-one there that feels like they’ve been dragged (or they do a great job of hiding it) and everyone knows the words to most of the songs. As soon as we walked out we both looked at each other and said, we’ll have to keep an eye out for their next gig in the UK. It was the start of a very bad week though. Not bad as in unenjoyable, but bad as in difficult. It’s been a fat week, I’ve snacked, I’ve had McDonalds, and I have felt rubbish. We were both ill for a couple of days, and the concert/long drives/gym sessions, all of which my body is not currently used to doing in such close proximity, led to serious knee pain. I had a lot of pain and problems with my knees in my teens, something I thought and hoped I had grown out of, but sadly it’s reared its ugly head again and has stopped me doing any physical exercise this week. I must also be overcompensating somehow when I walk as well as my back has been bad this week too, something that I thought was now behind me after my accident a year ago. Combine this with a bug that wiped Emma and I out for the middle of the week and it has been a crappy and fat week. I have however made some big realisations this week. They’re all pretty obvious, but it’s actually feeling them, realising them, and doing something about them that is going to change things. I like cooking but I am becoming bored of the same food all the time. I never like food at work because I never take anything in, and when I have this week (pineapple and watermelon) I’ve been much happier than when I have bought things. I need to change things up with my diet. No bread is working really well, but it limits food so much that I need to try and find new and exciting foods to eat. I also need to start prepping food to take to work because I am happier and healthier when I do and it saves me money, which is good considering the big holiday that I have planned! I’ve also realised that not only do I not hate exercise, I’ve come to quite like it and need it in my week. I have really struggled this week. Not getting out of the house to exercise has sucked, and my knees and back have been to painful to attempt yoga in the house. I never thought I would see the day that exercise became a really important and integral part of my week but here we are. I’m pleased I’ve made this realisation within a ‘fat week’. Yes, I’ve put on weight this week, but I am starting to feel somewhat fitter and I am no longer afraid or fed up with making time for exercise. I often forget that one of my goals with Fat Friday is to feel fitter and healthier and concentrate more on the actual weight loss numbers, so it’s a good to know something is happening, even if the numbers don’t reflect it. In my latest effort to start again, I have bought another cookbook. I already have Joe Wick’s Lean in 15 books. I like them, I cook from them often (we had his spinach, mozzarella, chorizo, chicken, and tomato salad for dinner tonight) but I have been through them before and just cook the same 4 or 5 meals. 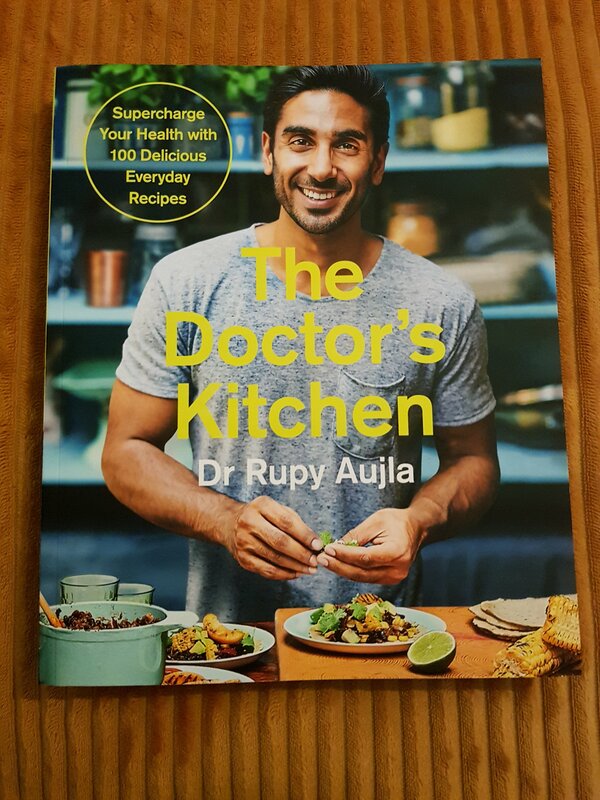 I’ve been looking into Dr Rupy’s project/cook book/culinary medicine for a couple of weeks now, and finally decided to treat myself to his cook book. Some of the recipes are incredible looking and I can’t wait to get stuck in, but more than that, he offers really useful advice that is grounded in NHS recognised medicine, and science. I understand a lot of weight loss is mental and what you eat, but this greater understanding of why some things are better than others is hopefully going to help, and the new recipes will freshen up our dinner time. HINTS/TIPS of the week: Be sensible and don’t overdo it at the gym or you’ll hurt yourself! At the time of writing, Barcelona is 44 days away, and Disney just 100. I’ve done well to lose as much weight as I have and feel better, but ultimately, I want to push hard again before these big events. I mean after my Dad’s birthday of course! Thanks. 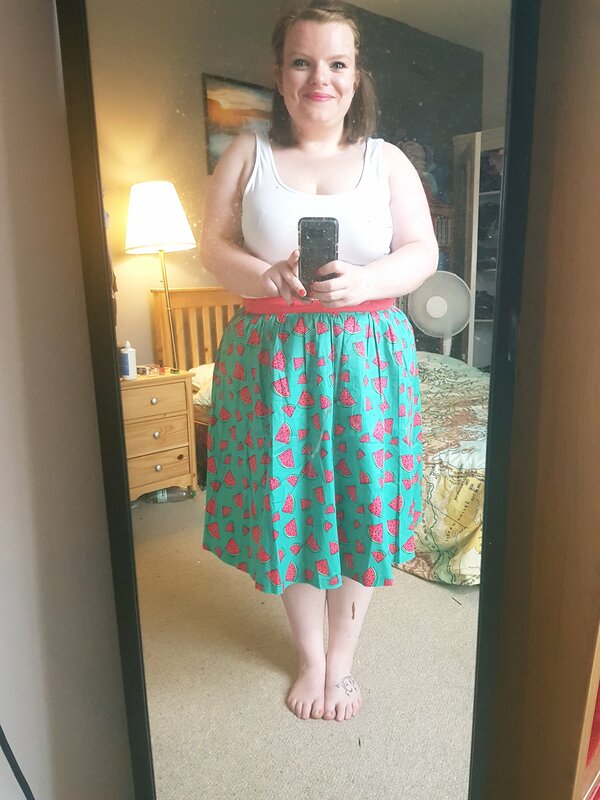 I felt good in it too which is nice. I got caught up with so much last week i forgot to post haha but I definitely think I’m getting there! !